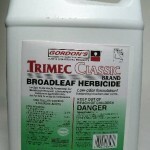 PRODUCT DESCRIPTION: Broadleaf herbicide which incorporates three active ingredients, hence the name, "Trimec". 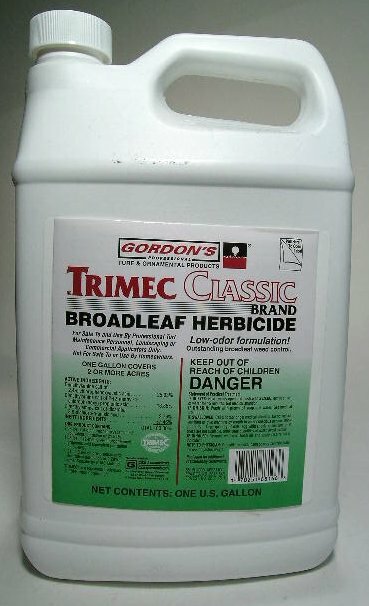 By combining three broadleaf actives, Trimec is able to handle most any unwanted weed growth excluding only grassy types. WHERE TO USE IT: Fields, fence rows, lawns and just about any where unwanted broadleaf weed growth is active. RATE OF APPLICATION: Use 1 to 1.5 oz per gallon of water per 1000 sq/ft of turf. Gallons will treat 2-3 acres.